Attribution concerns the scientific study of naive theories and common-sense explanations. This text provides a thorough and up-to-date introduction to the field, combining comprehensive coverage of the fundamental theoretical ideas and most significant research with an overview of more recent developments. The author begins with a broad overview of the central questions and basic assumptions of attribution research. This is followed by discussion of the ways in which causal explanations determine reactions to success or failure and how our causal explanations of other people's actions shape our behaviour toward them. The manner in which attributions may shape communication, and how people often quite indirectly communicate their beliefs about causality, is also explained. Finally, the issue of changing causal connections in training and therapy is addressed. 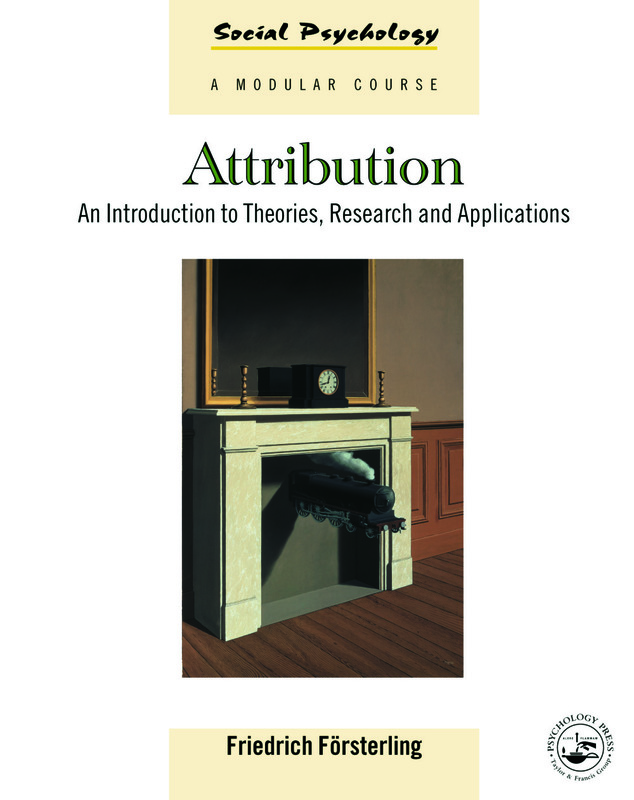 With end of chapter summaries, further reading and exercises to illustrate key attribution phenomena, Attribution will be essential reading for students of social psychology and associated areas such as personality, educational, organisational and clinical psychology. When do we make attributions?